Hello, everyone, welcome to the Misen Lashes class, I am Meisen. 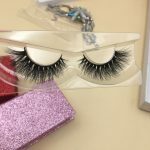 Then how to choose strip eyelashes extensions today, in fact, strip eyelashes 3d will be divided into three categories, the first category is that the mink eyelashes will be thick and natural. The second major category is long or short. The third category is cotton stalks or hard stalks. The most important point is to choose according to the eye shape. For example: our eye type will be divided into double eyelids and single eyelids, and the distance between the eyebrows and the eyes is relatively close, or relatively far, followed by swollen eyelids and non-swollen eyes. 1.If it is a single eyelid, we try to choose natural Strip Eyelashes . 3.If the eyebrow spacing is narrower, it is recommended to use short false eyelashes when selecting. 4.If the eyebrow spacing is too wide, then we can choose a longer Strip Eyelashes . When faced with swollen eyelids, we try to choose Strip Eyelashes with hard stems. 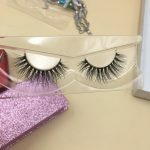 If it is not swollen, we can choose the Strip Eyelashes of the cotton stalk. Strip Eyelashes Are Also Divided Into Long Eyes And Long Tails For Eye Types. If the eyes are drooping, we can choose false eyelashes with long tails. 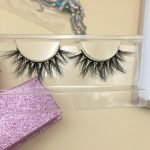 If it is upturned, such as the eye of the eye, this time we choose false eyelashes to choose the false eyelashes with short eyes and long eyes. Then, if we want to draw the eyes very round, we can choose the middle long false eyelashes, and do it twice in a short time. If we want to draw the eyes for a long time, then we can choose the false eyelashes with long tails and short tails to paste them. It’s Easy To Create A Glamorous Big Eye With Mink Eyelash Extensions! *Please allow at least 24hours for us to return any email or phone responses.